Word(ful) Wednesday - Nekaro & Co. I never could really get the hang of a wordless Wednesday. I found this little bloomer right next to our driveway on Monday morning. I love these little flowers. 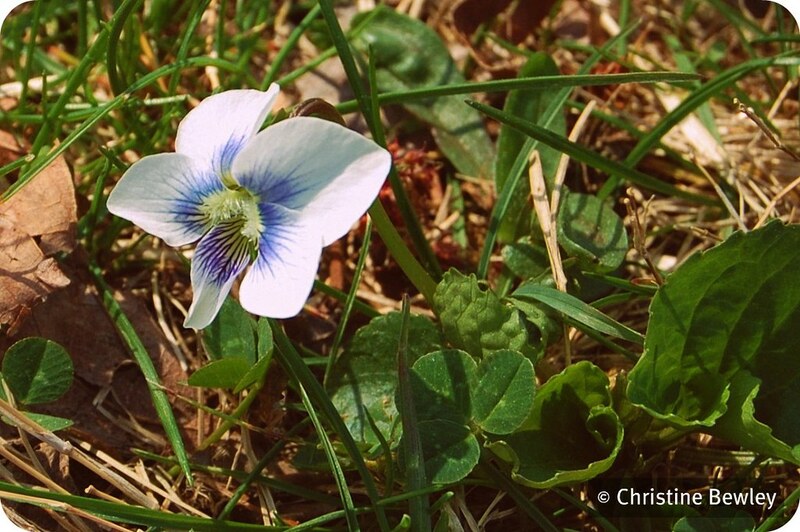 We've always called them violets, but I'm not really certain exactly what kind of flower they really should be titled. Along with daffodils, they have always been harbingers of Spring to me. Since I've not had the nerve to convince my husband to spend a crazy amount of money for Photoshop, I've edited this using Picnik. A crop, a little Vibrance at 23%, and their 1960's at 50%. I'm a sucker for those rounded corners!